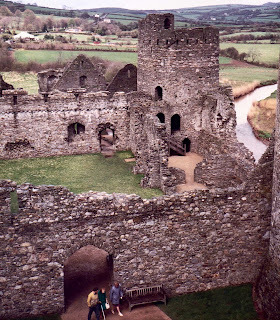 Approximately an hour's drive (25-30miles) from Swansea lies the ruins of Kidwelly Castle. My first ever visit to Kidwelly Castle was around the age of about 11 years on a school trip and there's something magical about the ancient castle, that for me seemed to come alive with knights, swords and great battles. 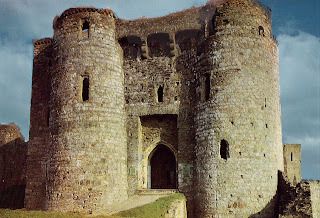 Kidwelly Castle was built by the Norman lord, Roger, Bishop of Salisbury in the 12 century after the lands there were given to him by King Henry I, son of William the Conqueror. Before the stone structure was built by Roger, the castle was made of timber and earth. Roger’s stone fortification was a far more substantial defence against Welsh. Gwenllian was of a Welsh royal descent born of parents Gruffudd ap Cynan, Prince of Gwynedd, and wife, Angharad ferch Owain. Her three times great grandfather was Brian Boruma mac Cennetig, High King of Ireland. But Gwenllian was no ‘pampered royal’, but a formidable female warrior who was the only medieval woman to lead the Welsh into battle. 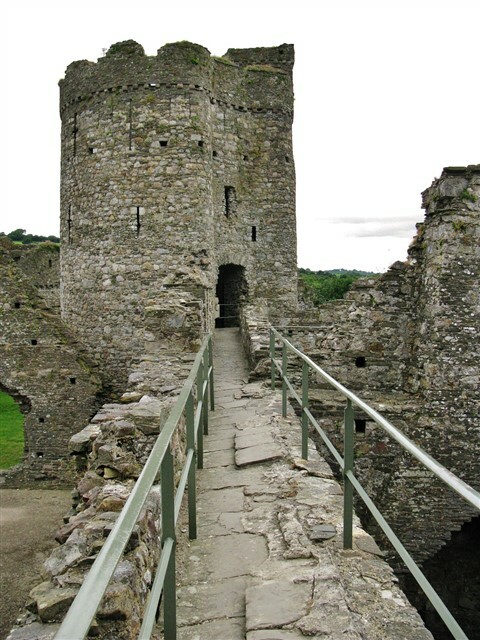 The Dinefawr seat of the Gruffyd ap Rhys family was in the ancient Welsh Kingdom Deheubarth, believed to have been one of the largest kingdoms of Wales, covering most of the South and West Wales and edging up into the North. When the Welsh were being invaded by the Normans, Gwenllian joined her husband in carrying out raids against them. 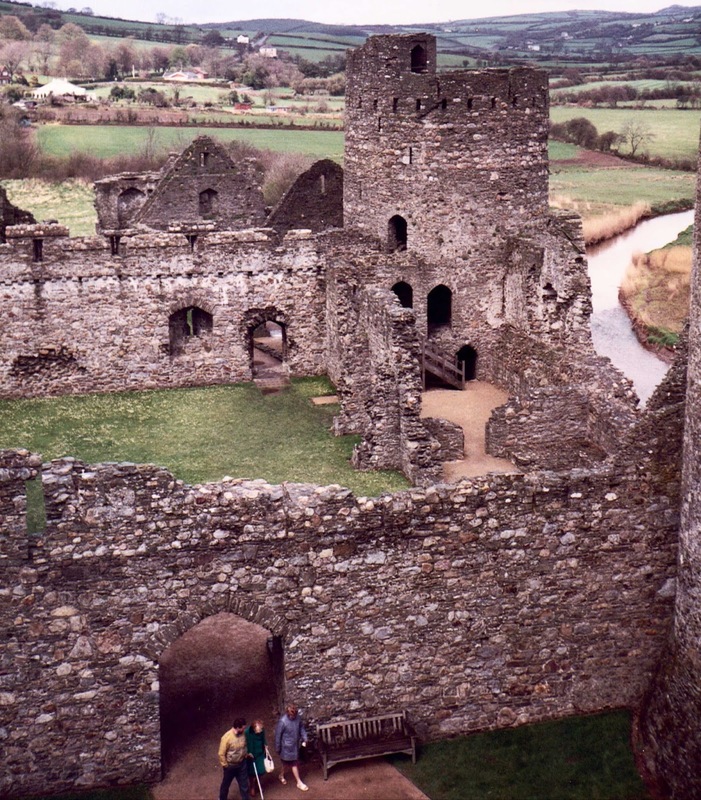 Gwenllian and Gruffyd attacked Norman, English, and Flemish who had come to settle in Deheubarth, stealing and redistributing their wealth to the Welsh of Deheubarth. Later whilst Gruffyd ap Rhys was away in Gwynedd on a meeting with his father discussing ways to deal with the invading Normans, the Normans stepped up their war effort causing a lot of unrest. Gwenllian felt her only choice was to raise an army to try and drive them out. Gwenllian’s final battle was at Kidwelly and it was a sad day for Wales as the Normans proved too much for Gwenllian’s troops. She was captured and beheaded. Both Gwenlliean’s defeat and execution angered her people, but also inspired them to to take up arms and fight to avenge her death. When the sad news of Gwenellians death reached her brothers who were also at Gwynedd, they invaded the Normans occupying Ceredigion, and took much of it back into Welsh occupation. Gwenllian continued to be a great inspiration to the Welsh for Centuries after in their continued battles for Wales and the Welsh. It is said that Kidwelly is haunted by the headless ghost of Gwenllian and in recent years that have been reports of strange sightings there. It is said that ghosts often appear where strong emotions have been stirred by great tragedies. If the stories are true, the only way to explore them is to visit the castle and take lots of photos – something that I will no doubt be doing in the future.